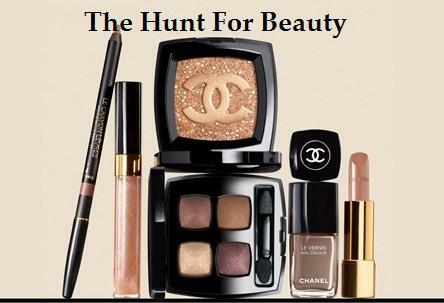 If you would like your product and/or service to be featured on The Hunt For Beauty, please feel free to contact me. Send all inquiries to: TheHuntForBeauty@gmail.com. Products submitted are usually for consideration only. There is no guarantee that a product review will be posted, be it positive or negative. If and when a review is posted, The Hunt For Beauty reserves all rights to it's content. All reviews posted will be truthful and honest. No paid reviews will be accepted or posted. If you are looking to stick to a certain timeline for the posting of a review, please let me know in your initial email. Otherwise, a review will be posted at my earliest convenience. If you require that specific information be included in the review, such as links and product information, please state that in your initial email, as well. Makeup, Skin Care, Hair Care, Nail Products, Men's Fragrance, Personal Care & Grooming, Men's Personal Care & Grooming, Men's Fashion & Accessories, and Bath/Spa Products. If your product or service is not listed above, but you feel that it will be of interest to The Hunt For Beauty's readers, please feel free to inquire anyway. I may or may not accept the pitch. Sponsored posts and advertisements will be considered. Please send all inquiries to: TheHuntForBeauty@gmail.com, and I will get back to you.